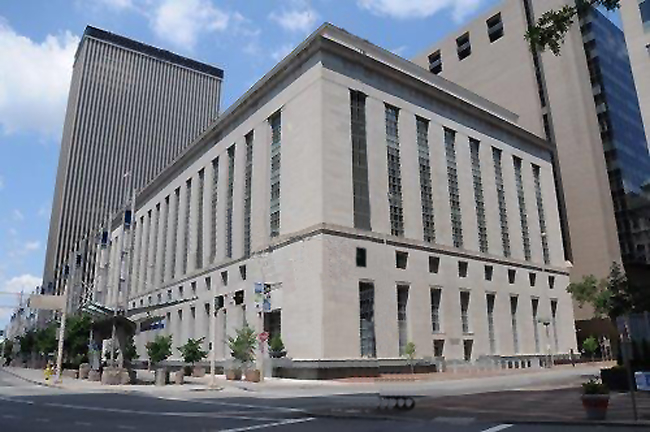 Located in Cincinnati, Ohio, the Sixth Circuit Court of Appeals hears federal cases that arise from the federal district courts of the Eastern District of Kentucky, the Western District of Kentucky, the Eastern District of Michigan, the Western District of Michigan, the Northern District of Ohio, the Southern District of Ohio, the Eastern District of Tennessee, the Middle District of Tennessee and the Western District of Tennessee. 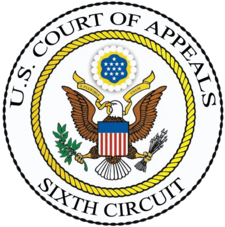 The Sixth Circuit has strict standards for the printing and filing of appellate briefs, and these standards differ from those of the other federal circuits. The starting point for a filling is, as always, the federal rules of Appellate Procedure. 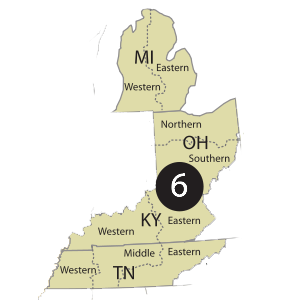 From there, the rules are modified by the local rules of the Sixth Circuit. A document filed electronically need not be filed in paper form. A party filing a paper brief must file a signed original and serve two copies on each opposing party. The local rules specify the manner in which the record is to be cited. Five copies of each appendix volume must be submitted with one service copy to each party. The Sixth Circuit local rules specify many required inclusions and exclusions of documents in the appendix. If the appendix has more than one volume, each volume must be consecutively paginated and must contain the full table of contents and index required by 6th Cir. R. 30(e)(2)(A) and (B). The table of contents and index in each volume must include the contents of all appendix volumes.